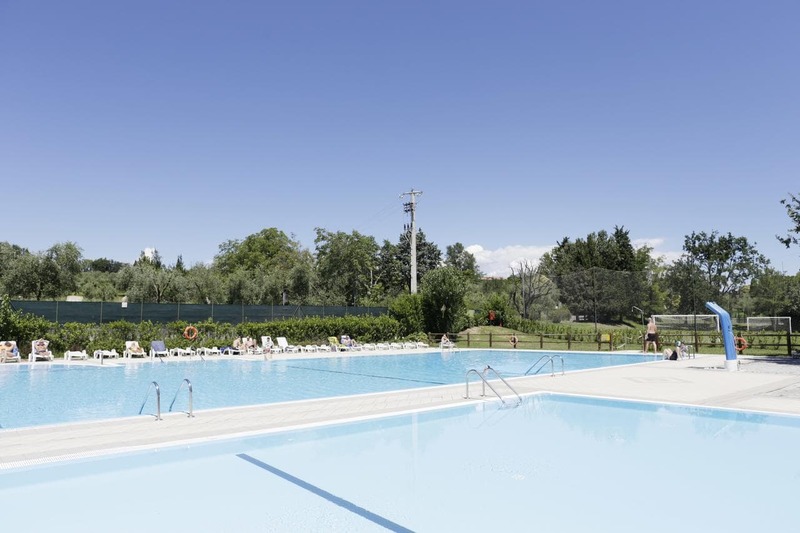 Located on the shore of Lake Garda and 1.5 km from the centre of Manerba del Garda, Camping Zocco Centro Vacanze offers apartments, bungalows and villas. Wi-Fi internet and parking on site are free. The accommodation at Centro Vacanze Camping Zoccco comes with a seating area and a kitchen with kitchenware and refrigerator. It may feature a lake or garden view and is surrounded by green terraces. The property consists of 3 buildings and includes a restaurant with pizzeria and bar. Guests can enjoy their time in the outdoor swimming pool or on the private beach. Sports facilities such as a tennis court, football pitch and table tennis are also available and for children there is a children’s playground and another swimming pool. Gardaland Amusement Park is 30 km. Brescia is 45 km away and the city of Verona is about 55 km de la propiedad.